After the statement of next CM candidate of Samajwadi Party that the legislature of assembly will decide -- the party has announced in a Press Conference on Monday that Akhilesh is the candidate of CM in UP assembly election 2017. The conciliatory meeting held at SP Chief residence where Shivpal, Akhilesh including Mulayam were present. It is said that Mulayam Sandesh Yatra starts from November 9 was discussed in the meeting for an hour. However the rift between CM Akhilesh and Shivpal was pacified here, according to source. It is noticeable; Mulayam Singh Yadav had said in a press conference last week that the legislators after winning Assembly Election would decide the CM candidate. The national general secretary, Kiran Mai Nanda, clarifying in this reference, said that Mulayam Singh Yadav had announced Akhilesh name in September, and announcement is to be done again because it was being reported in wrong way through media. The general secretary of Samajwadi party alleging responsible to the media over the dispute, Kiran Mai Nanda said that Mulayam Singh Yadav had clarified the procedure to the journalist on a question, which was lubricant voice because of TRP. 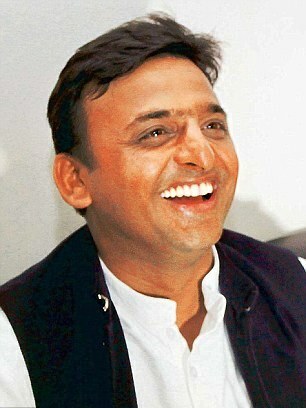 Akhilesh will be beams face in Sandesh Yatra by Mulayam. This message journey is going to begin from Varanasi.